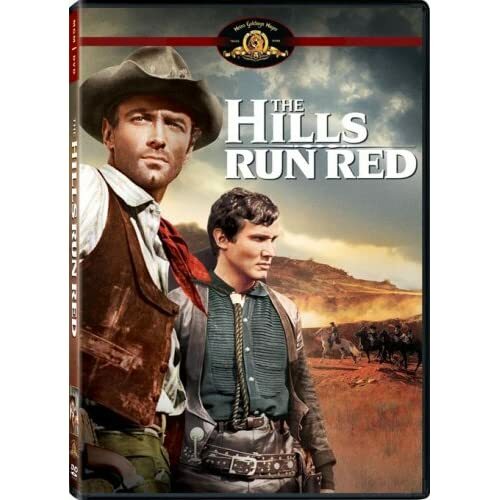 Hills Run Red DVD will be released? That's good news. I've been wanting to see this one for decades! Great movie that. Looks like I'll have to triple dip on that one. This must mean Sony is finally getting their act together. Let's hope for some more R1 releases in the future. Doubt it. When they acquired MGM they stated they would continue the very successful MIDNITE MOVIES line of dvds releasing the AIP library. But nothing. A petition was started and got a couple thousand signatures with Sony reps stating the line would continue. This was two years ago. The only things they've since released were two pirate related double features to tie in with you know what. Documentaries were prepared for several well known horror pictures including the classic Vincent Price film WITCHFINDER GENERAL. I have since bought the british sp. edition since nothing else has been announced otherwise. Do you really rate this Arizona because i watched this the other day?-i'm currently transferring all my British Horror video recordings onto dvd-only the second time i've watched it and it doesn't do anything for me-very bleak,brutal but disappointing. A resounding YES!!! WITCHFINDER GENERAL is highly regarded as a class act all around and Price was essaying a real character BTW and it was considered that he play the character somewhat hammy but it was his decision ultimately to play it straight. The grim and brutal atmosphere adds to the gloomy storyline. I guess you didn't like MARK OF THE DEVIL for the same reasons? A funny story about WG, Price at first did not get on well with Michael Reeves, the young upstart director. Price commented--"I've made hundreds of movies, what have you done boy? ", to which Reeves replied, "I've done three good ones!" After that, the two became good friends. I had posted a long review for BLOOD ON SATANS CLAW after receiving the brit disc but when I posted it, there was 'forum maintenance' and my review was lost. I didn't feel like re-typing it but yes, it also is a winner. Not sure if I'd rate DRACULA AD 1972 ***, I enjoyed it a lot (nifty soundtrack) but they failed to capitalize on the setting by taking Drac out of the gloomy Church and placing him out in the city. Instead Christopher Neame is placed in most of the scenes. COUNT YORGA, VAMPIRE is the reason Hammer tried this modern re-telling hoping to make millions as AIP did on YORGA which successfully transferred the vampiric count story to modern times. I was thinking of doing the same, rating my Brit horror collection, but I figured it would be a waste of time, but if you're doing the same maybe I'll follow your lead! I'm posting a reply on the British Horror Colection thread. This great spaghetti revenge flick, starring Thomas Hunter and the deliciously nasty Henry Silva, is being released this month on the 22nd! And for those who like to purchase italian westerns for the music only (which I honestly don't understand, for that buy the soundtrack) Morricone has a fabulous soundtrack here. Great main theme. Great I'll be getting that one for sure, just picked up "Ride the High Country" today in Sam's Club for $6 a nice find, also saw AFOD & FAFDM with new covers (not the SE's though just repackaging). Hey you changed your mind? Since that bootleg i sent to you i picked up the Japanese Stingray dvd and its a much better print.The sleeve also has the original poster artwork. I gave it another view a view months ago and enjoyed it much more. I suppose I wasn't in the best of moods during my first viewing a year ago. So i suppose you're now a big fan of Thomas Hunter afterall? Talking of Henry Silva-just remembered i taped The Tall T last Xmas but still haven't watched it yet! Silva is really good in the early italian-french crime thriller ASSASSINATION from 1967. NO WAY. I like the movie. I don't think he is a good actor.